The years since the financial crisis have been good to cooperatives. Faced with spiralling economic, social and ecological crises, many people are turning to cooperative enterprise and worker ownership for solutions—one of the few bright spots in an otherwise gloomy overall picture of stagnation, falling real wages, rising inequality, public retrenchment and social and environmental decay . Even judged against narrow capitalist criteria of economic efficiency, many cooperatives are outperforming the rest of the private sector: a 2013 International Labor Organization report found that, during the crisis, financial co-ops and mutuals outperformed traditional banks by almost every measure (ILO, 2013). Political support for co-ops is concomitantly on the rise. The United Nations' proclamation of 2012 as the International Year of Cooperatives was a significant milestone. On the left, cooperative ownership has an agreeable horizontality that endears it to a new generation of activists suspicious of hierarchy and centralization. Crisis-driven worker-led transitions of previously capitalist enterprises into collective ventures in countries as diverse as Argentina, Greece, Italy and the United States offer new hope for a future rising out of the ashes. The growing sophistication of co-op networks in Italy, Spain, Quebec and elsewhere have proven the viability of such models over time and at scale. These are welcome developments. But we must beware the notion that co-ops offer a one-size-fits-all answer to deepening economic and social difficulties. Today we face systemic problems—and systemic problems require systemic solutions. Beyond the firm, capitalism also operates at the level of the city, the region, the nation and internationally. Alternatives must include strategies for democratising capital at a variety of scales. A quick glance at U.S. history is enough to confirm that while cooperative enterprise is a natural—and recurring—answer to many social and economic ills, it offers only partial solutions on its own. The experience with farmer co-ops during the great agrarian struggles of the late nineteenth century is a telling illustration. In 1879, when banking interests engineered the return of the United States to the gold standard following the suspension of specie payments during the Civil War, farmers were particularly hard hit. As population and production increased but the money supply remained constant, agricultural prices fell—especially at harvest time—and the brutal crop-lien system forced farmers to take on ever more debt that would have to be paid off in an appreciating currency. The initial response from distressed farmers was the creation of cooperatives through the Farmers’ Alliance, so as to buy and sell collectively and obtain better prices on both ends. In Texas in 1887, cotton farmers embarked on the remarkable ‘joint-note plan’ by which they would all sink or swim together, buying supplies collectively on credit and then marketing their crop in one giant transaction at the end of the year. Broadened from cooperativism into a system-wide critique, Populism swept like a prairie fire across the Great Plains and parts of the South and Southwest, electing forty-five members to Congress between 1891 and 1902, including six U.S. senators. 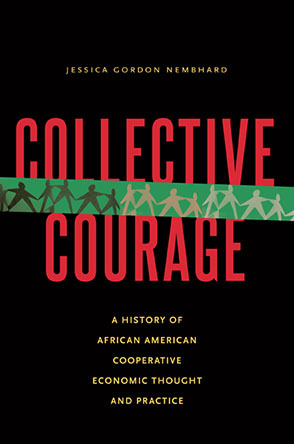 Although ultimately defeated—co-opted and drowned in the swamp of Democratic Party politics, leaving the South to fall back into reaction and racial terror—Populism briefly became the largest mass democratic movement in American history as well as “the last substantial effort at structural alteration of hierarchical economic forms in modern America” (Goodwyn, 1978, 264). For many, the jumping off point into alternative political economy remains cooperative enterprise—and, in particular, employee ownership of the firm. There is no question that co-ops, together with kindred ownership forms, are a powerful tool for democratising capital. But because many people are now gravitating toward them it is important to recognise their limitations. Some of the problems can be seen in the recent bankruptcy of Mondragón’s Fagor Electrodomésticos, the strike of out-sourced cleaning staff at employee-owned department store John Lewis as well as the ongoing financial tribulations of the Cooperative Bank in the United Kingdom. We must interrogate these difficulties to identify problem dynamics built into the institutional forms themselves. To begin with, there is the familiar problem of externalities. The interests of the worker-owners of a given enterprise are not identical to those of the community as a whole. While they may not relocate overseas, what is to stop worker-owners, any more than traditional capitalists, from maximizing profit by passing on pollution costs and other negative externalities to the wider community (Carter, 1996)? For firms free-floating in capitalist markets, this is often not a matter of choice but of necessity: the pressures of competition force behavior detrimental to wider social and environmental purposes. Distributional problems, too, will persist. Markets, left to their own devices, are powerful engines of inequality and likely to overwhelm economic models based solely on worker ownership, producing undesirable outcomes and power relationships. In terms of culture, what limited evidence we have suggests that workers in democratized firms can easily develop narrow ‘worker-capitalist’ attitudes. Edward Greenberg’s classic studies of the plywood co-ops in the Pacific Northwest found that, far from potential recruits to a transformative political economy, worker-owners were more likely to adopt the petit bourgeois mind set of the conservative small business owner—hardly the stuff of Gramscian counter-hegemony (Greenberg, 1986, 136-137). Also discouraging is a tendency toward capitalist recidivism. In the absence of preventative legal structures, co-ops can display the unfortunate habit of pulling up the ladder after themselves, setting extremely high standards for future participation and hiring new workers on a wage basis rather than an ownership one. The SACMI cooperative in Italy employs around 3,000 non-member employees, making worker-owners a tiny fraction of the total workforce. Potential new members must have worked for the company for five years, be nominated and assessed by other members, and pay a membership cost of around $300,000 over fifteen years through salary deductions (Restakis, 2010, 66-68). Mondragón’s use of non-member wage labor and external non-voting capital stakes raises similar issues. Far from economic democracy, this is reminiscent of the exclusionary practices of medieval craft guilds. Accompanying regulatory strategies could constrain such dynamics. But relying on ‘after the fact’ interventions in political economy is a risky proposition—witness the collapse of social democratic redistributive taxation. To achieve genuinely different outcomes we must look to the deeper engineering of institutional arrangements. It is time to get much more serious about systemic design. Fortunately, there are solutions—or the beginnings of them. On-the-ground pilot experiments like the ‘Cleveland Model’ in Ohio incorporate worker ownership but also reach beyond to other concerns such as economic stability and community building. There has been a great deal of innovative new thinking along these lines in recent years, spurred in part by the failure of traditional solutions. Alternative system models (or partial models) are now on offer from an array of thinkers, including David Schweickart, Richard Wolff, Gar Alperovitz, Michael Albert, Juliet Schor, Herman Daly and Erik Olin Wright. In place of the traditional elements of capitalism—private ownership of the means of production with markets in capital, labor, goods and services—Schweickart proposes worker self-management of enterprises and social control over investment with neither capital markets nor labor markets in the usual sense (Schweickart, 2011). Alperovitz has set out the lineaments of a system based on different ownership and growth paradigms he calls the ‘Pluralist Commonwealth,’ employing “new public and quasi-public wealth holding institutions that take on ever greater power on behalf of the community of the nation as a whole” (Alperovitz, 2014). Andrew Cumbers, professor of geographical political economy at the University of Glasgow, has sketched a system designed around plural forms of public ownership, extending the definition of ‘public’ to encompass “all those attempts, both outside and through the state, to create forms of collective ownership in opposition to … capitalist social relations” (Cumbers, 2012, 7). Such models point past the embrace of one economic institution or another to crosscutting themes of systemic design. This conversation is increasingly sophisticated, but must grow even more so. Part of the intuitive appeal of co-ops is their practicality and immediacy, such that it is easy to imagine an economy in which cooperative forms proliferate. But there are plenty of other real-world examples of democratic economic institutions and strategies that work in practice and can also be taken to scale. Opportunities for democratic control over investment abound, suggesting a broad variety of ways in which capital can be held in common by—or on behalf of—small and large publics. North Dakota’s public bank promotes community lending to develop the state economy. City and local government economic development programs increasingly lend to—or make investments in—local businesses. Public pension assets are channelled into job creation and community economic development. Municipal enterprises build infrastructure and provide services, raising revenue and promoting employment, diversifying the base of locally controlled capital. New experiments with participatory budgeting allow for direct citizen engagement in the allocation of public funds. Commons management systems cover everything from the internet to public libraries, parks and blood banks. Public trusts in Alaska, Texas, Louisiana, New Mexico and elsewhere receive revenues from the management of public resources, providing funding streams that underwrite public services or issue a citizen dividend, recalling the ideas of James Meade (Meade, 2013). Building on these and other approaches, it is possible to project a vision in which co-ops and public and quasi-public capital strategies are employed side by side in an alternative system capable of moving us away from neoliberal austerity and in the direction of democratized ownership of the economy. Experiments along these lines are already being put into practice, especially in Latin America. Back in the heady days of the mid-twentieth century, there were boasts from parts of the left as to a “socialist sixth of the world.” Today, when more than a billion people stand as members of one or another form of co-op, it is possible to speak of a “cooperative seventh of the world”—possible, and just as unwise. Given the potential for reversals, a strategy of political neutrality for cooperative expansion does not mean eliminating political risk, just ignoring it. Far better to begin openly—as many cooperative development efforts already have—the hard work of education and alliance-building and political strategizing that will be necessary if democratic economic models are ever to move from the margins to the mainstream and spill over into systemic transformation. This paper draws upon an earlier article written with Thomas M. Hanna, “Democratising Capital at Scale: Cooperative Enterprise and Beyond,” included as Chapter 8 in White, S. and Seth-Smith, N. (eds.) (2014) Democratic Wealth: Building a Citizens’ Economy, openDemocracy. Alperovitz, G. (2011) America Beyond Capitalism, College Park, Democracy Collaborative. Alperovitz, G. (2013) What Then Must We Do? White River Junction, Chelsea Green. Alperovitz, G. (2014) The Pluralist Comonwealth, http://www.pluralistcommonwealth.org/. Carter, N. (1996) “Cooperatives and Green Political Theory,” in Brian Doherty and Marius de Geus, (eds.) Democracy and Green Political Thought: Sustainability, Rights, and Citizenship, London, Routledge. Cumbers, A. (2012) Reclaiming Public Ownership: Making Space for Economic Democracy, London, Zed Books. Greenberg, E.S. (1986) Workplace Democracy: The Political Effects of Participation, Ithaca, Cornell University Press. International Labor Organization (2013) Resilience in a Downturn: The Power of Financial Cooperatives, http://www.ilo.org/empent/Publications/WCMS_207768/lang--en/index.htm. Meade, J. (2013) Efficiency, Equality and the Ownership of Property, Oxford, Routledge. Restakis, J. (2010) Humanizing the Economy: Co-operatives in the Age of Capital, Gabriola Island, New Society Publishers. Schweickart, D. (2011) After Capitalism, Lanham, Rowman & Littlefield. Joe Guinan is a Senior Fellow at The Democracy Collaborative and Executive Director of the Next System Project. Born in England with dual Irish and British citizenship, he grew up in British labor movement circles and was educated at Balliol College, Oxford. He writes regularly for progressive outlets in the UK, including openDemocracy and the journal Renewal.